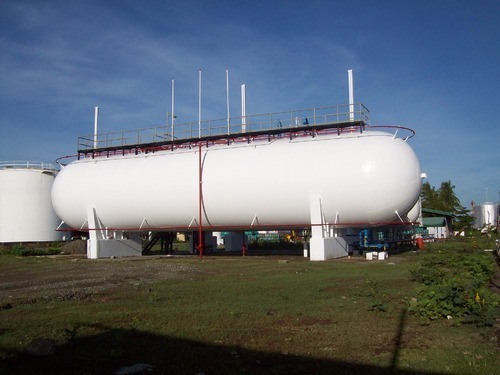 We design and manufacture all types of high-quality Butane Storage Tank for different industries. Butane Storage Tank is available in several different closure styles, materials, and sizes. They have been designed for use at temperatures and pressures. As per the end application needs, these Butane Storage Tank can be delivered by us in different finished configurations. Butane gas also called LPG, GPL, Hydrocarbon or simply propane or butane, is a flammable mixture of hydrocarbon gases used as a fuel in heating appliances and vehicles. It is increasingly used as an aerosol propellant and a refrigerant. SA 515 / 516, Grade 55/ 60 / 65 / 70. Cryostar Tanks And Vessels Pvt Ltd is globally recognized manufacturer and exporter of carbon dioxide,nitrous oxide gas plants and allied accessories. Cryostar Tanks And Vessels Pvt Ltd is trusted engineering serving the interests of a wide client base over the world.Initially, the company began its journey in 1988 under the mentor Mr. Rajiv who accelerated the organization to grow as it stands today.At present the company is supported by highly qualified and talented professionals working with dedication to produce and provide world class products.All our products confirm to international specifications and offered at as much possible as competitive prices.Backed by latest technology we are capable of rendering the product that will return the true value of investment and become sole cause of organizational growth.